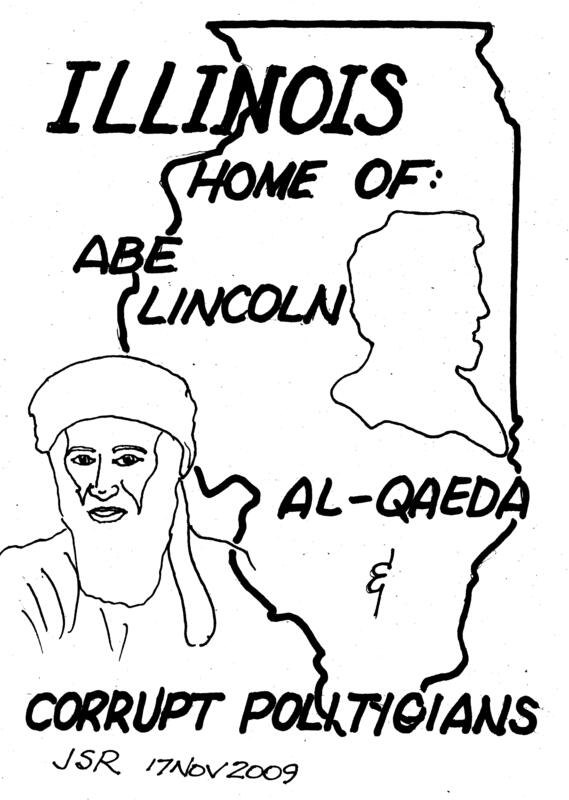 Illinois, the New Home of Al Qaeda? The latest ploy by Obama is to house the GITMO terrorists in Illinois. He proposes the Federal Government buy a brand new prison in Thomson, Illinois and to convert it into a super-max prison. He will then bring jobs to Illinois by staffing the prison to care for the GITMO guys. A while back I wrote a piece titled “A Gitmo Proposal” which gave my proposal for housing the same guys in Illinois. My proposal was more interesting than Obama’s. I wanted to give President BO some extra income by housing the terrorists in his vacant house in the Hyde Park neighborhood of Chicago. I have a quandary about the prison in Illinois. It is a relatively new facility in Thomson, Illinois. It currently houses about one hundred and eighty inmates. It has capacity for eighteen hundred. How is it that it is only ten percent utilized? I hear the state can’t afford to staff it. Didn’t they think about staffing when they built the damn place? It is my guess that this prison was built with ear marks put on some obscure bill by our Senator Dickie Durbin. Illinois has a history of projects that are under utilized. There is a very large air port in southern Illinois near Saint Louis that doesn’t have any air traffic. The old “Field of Dreams” principle of “build it they will come” never materialized but we have a beauty of an air port in an area that no one will ever visit or hear about in the next thousand years. Now we have a prison in the same category. At least this time Dickie is being creative, and is trying to double dip for good old Illinois. A very good friend of mine sent this to me today. I have to share it with you. I checked out the links they are legitimate. Why doesn’t Rahm Emanuel pay property taxes??? According to the Cook County Assessor’s website, the Chicago home of four-term Democrat Congressman and new White House Chief of Staff, Rahm Emanuel, DOESN’T EXIST. While the address of 4228 North Hermitage is listed as Emanuel’s residence on the Illinois State Board of Elections’ website, there seems to be no public record of Emanuel ever paying property taxes on this home. The Cook County Assessor’s and Cook County Treasurer’s online records indicate that Emanuel’s Chicago neighbors pay between $3,500 and $7,000 annually. However, Illinois Review has been unable to locate any evidence that the former Clinton advisor and investment banker is paying his fair share of Cook County’s notoriously high tax burden. Why wouldn’t 4228 North Hermitage property owners Rahm Emanuel and wife Amy Rule pay property taxes? One reason may be because Emanuel and Rule declared their 4228 North Hermitage home as the office location for their personal non-profit foundation called the “Rahm Emanuel and Amy Rule Charitable Foundation“. As the “non-profit foundation’s” headquarters, their home could be exempt from paying property taxes! Get a load of this . . . The “Rahm Emanuel and Amy Rule Charitable Trust” was formed in 2002, when the Chicago lawmaker was first elected. The former Clinton White House aide and his wife, Amy Rule, ARE ITS ONLY DONORS! 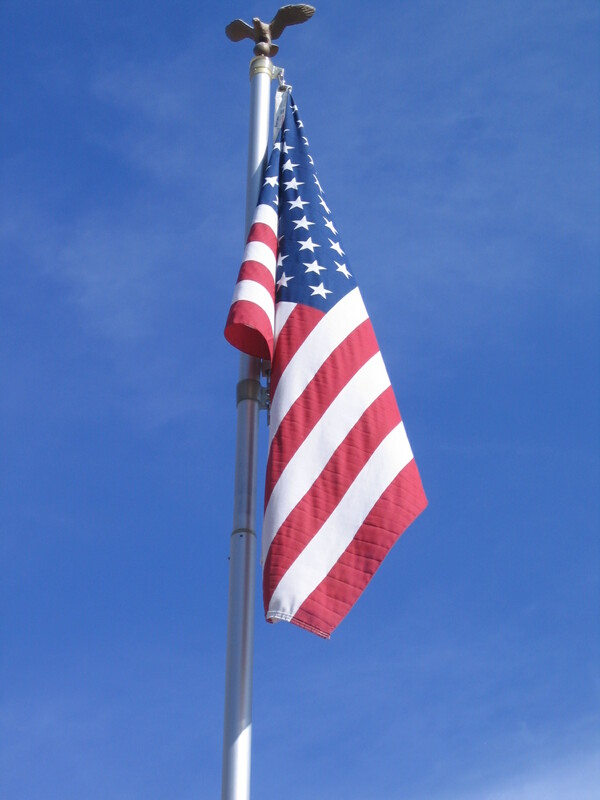 Emanuel was an investment banker after serving in the White House. The trust reported having $2,900 on hand at the end of 2005, after receiving $34,000 from Emanuel and donating more than $31,000. During the past three years, Emanuel’s “charity” gave nearly $25,000 to the Anshe Emet Synagogue (a private school that the Rahm/Rule children attend), and $15,000 to the foundation run by former president Bill Clinton. It also gave $14,000 to Marwen, a Chicago charity that provides art classes and other educational help to low-income children. AMY RULE IS ON MARWEN’S BOARD. So what does this mean? It means he doesn’t pay any property taxes and he gets income tax write-offs by donating $25,000 to the synagogue and other amounts of money to his “Foundation”. This allows HIS KIDS TO ATTEND SCHOOL TUITION-FREE and allows him to write off a lot of person expenses. What a racket! Take all your income and donate it back to yourself via tax exempt organizations where you can spend it as expenses to operate your car, pay the electric and water bills, etc. I guess if you are a hypocritical liberal Democrat who advocates raising taxes on everyone else, this is all permissible. Emanuel’s home at 4228 is one of the largest in the neighborhood, with a side yard that appears to be a vacant lot, making the Emanuels’ property the largest portion on the block. Other North Hermitage Avenue homes on Emanuel’s block are valued in the $500,000+ range . . . his home is valued at OVER A MILLION TAX-FREE DOLLARS (see it here at Zillow: Zillow Real Estate Search Results: 4228 North Hermitage. According to the Cook County Treasurer’s web site, the Chicago owners of nearby 118-year old 4222 North Hermitage pay almost $6,800 in real estate taxes annually. The family at 4224 North Hermitage pays $6,000 each year in property taxes. But the Rahm/Rule family and their bogus “foundation” pay NO PROPERTY TAXES AT ALL! President Obama – himself a connected, Chicago insider who has benefited from questionable land deals (i.e., his Chicago home in Hyde Park, which was acquired with a little help from his buddy Tony Rezko) – may find it difficult to explain why his very own Chicago-based Chief of Staff doesn’t pay property taxes like the “little guys”. Or perhaps allowing his wealthy friends to avoid taxes is part of Obama’s trickle down redistribution economics. It’s certainly the kind of “change” we Illinoisians can believe in. We’re quite familiar with it here in the federal indictment land of Blagojevich, Madigan, Jones, Cellini, Rezko, Kerner, Walker, Ryan, etc. This may be legal, but is it ethical?